Long Gone Days is one of those independent titles I have been following for a couple years now. Ever since I spotted it when it originally surfaced on the Steam Greenlight service, I was drawn to the interesting art style and fascinating story concept. Now that the game has launched on Steam Early Access, I was finally able to get my hands on it. But after years of growth from conceptualization to release, is Long Gone Days worth your time? Let's start things off by taking a look at the story, which is set in the dystopian future where the province of Kaliningrad is currently in the midst of conflict. 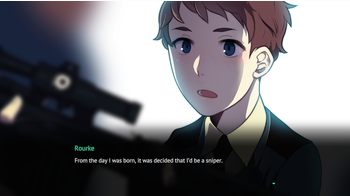 A man named Rourke is giving a sniper rifle at a young age and trained from morning to night in an underground bunker. During his time below the surface, he lives and breathes a bellicose way of life where he doesn’t question his orders and just assumes everything he does is for the greater good. It’s just him, his gun, and a target to dispatch. He won't even bother becoming familiar with what would otherwise be a normal lifestyle. Unfortunately, it’s all too easy to have the wool pulled over one's eyes by the chain of command. While out on his first mission, he discovers the group he so proudly fought for is instead exploiting its army by forcing them to commit random acts of blatant terrorism. Rourke learns the consequences of his actions early in his military career and decides to commit treason - the threat of execution be damned. From there, the plot follows Rourke and other rebels as they attempt to put an end to these atrocities. 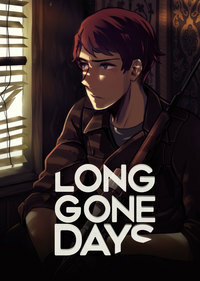 It may not always be riveting, but Long Gone Days caught my attention by the way it tells its story with a somber yet not overly serious demeanor. Right away, it is clear in Long Gone Days the decisions you make actually matter. Based on your responses to conversations, characters may treat you entirely different, with the plot potentially unfolding in a myriad of ways, even if it isn’t always a dramatic pivot between choices. There are even moments where you need to hire the services of an interpreter to speak with people from other nationalities than your own. After all, saying the wrong thing in a hostile territory could be dangerous. This leads us to the core of the gameplay. Key events are broken up through a variety of hooks that include dialogue between other characters, on-foot exploration, sniping segments, and turn-based combat. Although the first two mechanics are fairly standard, it’s the last two bullet points that set Long Gone Days apart from its brethren. For the sniping, all you see is a cross-hair and the targets wandering around off in the distance. Some don’t pose a threat to you as they wander along their set paths, while others are ready and aiming directly at your nest. Battles are presented in first-person. Rather than choosing an option from a menu, everything revolves around shooting targets at multiple spots on their bodies. All of this is judged based on your character’s particular stats which are read out while you’re aiming at those aforementioned spots. Some areas are harder to reach but deal more damage, while others may be easier but won’t do as much. Even still, there are certain spots that may end up paralyzing the enemy, causing them to skip a turn. 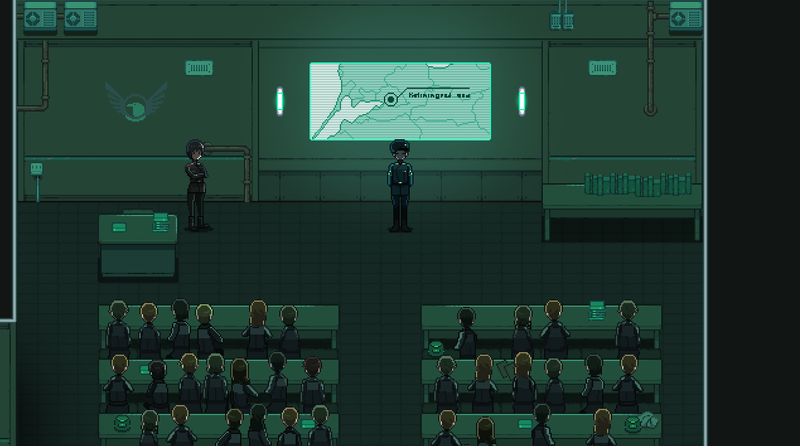 Morale plays a key role not only in the way you interact with characters in the story but also in combat. Using skills and other special abilities cost you a certain percentage of morale. If you max out your Morale, you will reach a state of Euphoria, making all your attacks deal critical damage. This lasts until the end of the battle. Conversely, if a party member loses all of their Morale, they will, in turn, lose their will to fight, cutting their attack damage in half. While I found this original concept for combat intriguing, I would have liked it if the actions I was doing to a particular body part truly meant something outside of considering the amount of damage or the chances they could evade the attack. Instead, you’re just sort of pelting the enemy with bullets while barely weighing the variables. It’s kind of pointless if the same person has multiple spots that both give you the exact same odds of inflicting damage, so you’ll wind up like me targeting one spot over and over until the opponent is dead. In the end, it may seem intricate on the surface, but underneath some of the flourish, it’s still arguably a very basic system at work. With that said, you should not really be coming to this game if you’re interested in a lot of action sequences. This is first and foremost a story-driven experience, and it doesn’t try to disguise that. As I mentioned before, Rourke and those who share his point of view are doing everything in their power to avoid confrontation. 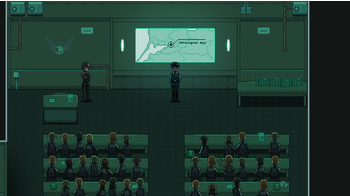 Because of this, each encounter is constructed to give the story progression. Much like its combat, the visual technique in Long Gone Days is rather unique. By blending manga-inspired illustrations with sprite-based character models, there are few examples of the style it conveys. There’s just something appealing in how it manages to pull off a type of flair that is altogether its own. One could argue the design subverts the dramatic tale being portrayed, but it instead makes the world that much more bleak with how its simple-looking characters are locked in a battle for mortality. In a sense, it’s a clash of styles I can truly get behind. 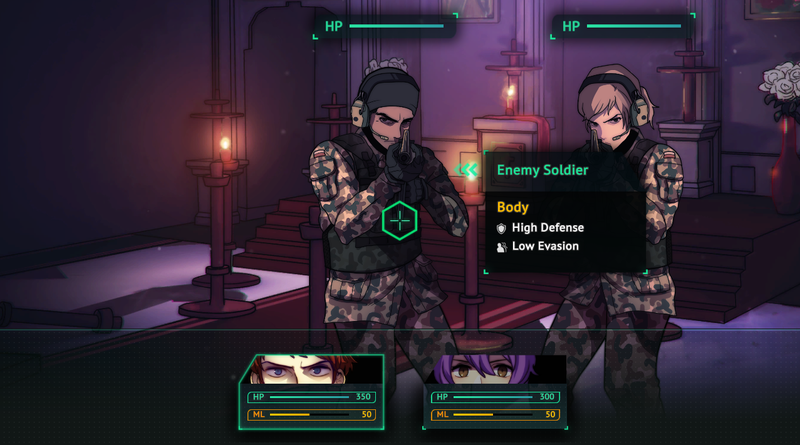 With its slick presentation, ominous soundtrack, and dark storytelling creating a solid foundation, Long Gone Days represents a unique and powerful message for players to become enamored with. While I wish the journey lasted longer than it did, it is a clear a lot of work went into creating the final product. For that, I recommend giving this one a try for yourself.